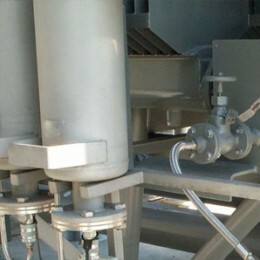 Increase service reliability and safety while lowering costs! 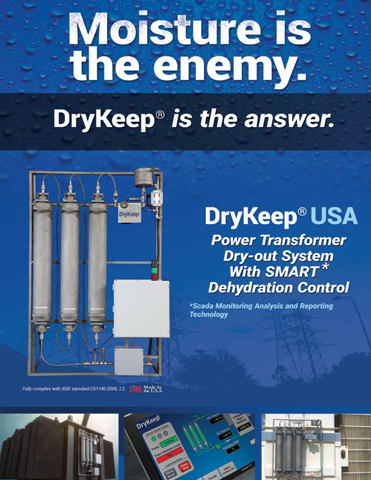 DryKeep® is a SMART, on-line power transformer dry-out system that provides continuous maintenance prior to equipment failures—it’s proactive, cost-efficient, and powerful. The continuous on-line removal of water from the transformer oil also ensures the removal of the moisture and loose fibers in the solid insulation. 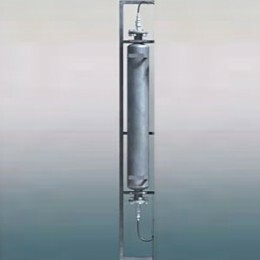 The diffusion of the moisture from the solid insulation to the oil maintains the associated equilibrium as water is removed from the oil. 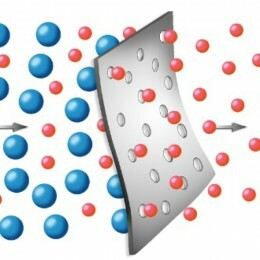 This process not only reduces the paper aging, but will improve the dielectric strength of the insulation and increase reliability. It enables transformers to be run on higher load cycles with greatly reduced risk of failure. The increased plant utilization will allow capital expenditure to be deferred. 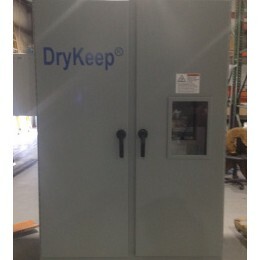 Download the brochure or visit DryKeep.com for more info.